Taking it easy on a boat is at the heart of cruising! To the cruising sailor the boat becomes a floating home that can be steered from one quaint port to another or to an isolated anchorage that time and people seem to have forgotten. A cruise can be a couple of hours, a day’s expedition, a week-end away or can take as many weeks, months or years as you wish. The preparation for such studied inactivity can take a long time. The boat itself needs to be up to the demands of the voyages you intend to make. Even more important is that the skipper is prepared for such voyages. Safety is paramount and everything from flares to flotation devices to sail and engine condtion must be carefully checked. 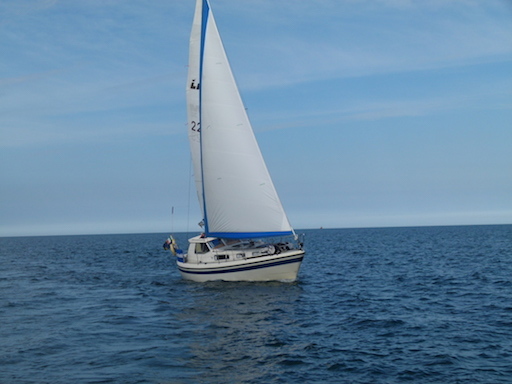 Short trips: Balbriggan, Drogheda, Clogher Head, Lambay, Lough Shinney, Malahide, Howth, Dun Laoire. 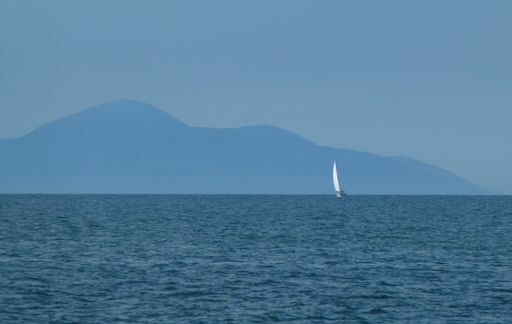 Middle Distance: Carlingford and Strangford Loughs to the north, the Isle of Man to the north-east, North Wales due east. 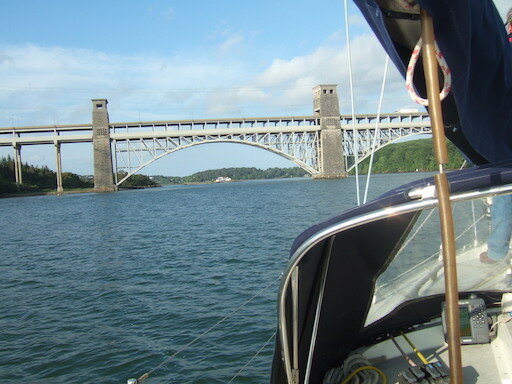 Longer trips: Two days of sailing will bring you well into Scottish waters to the north, or south to South Wales, Cornwall and the Isles of Scilly or even to northern France. The boat’s hull and overall structure must be intact. Your engine must be reliable and you need to know how to use it. Your sails, mast and rigging must be sound and you need to know how to use them. 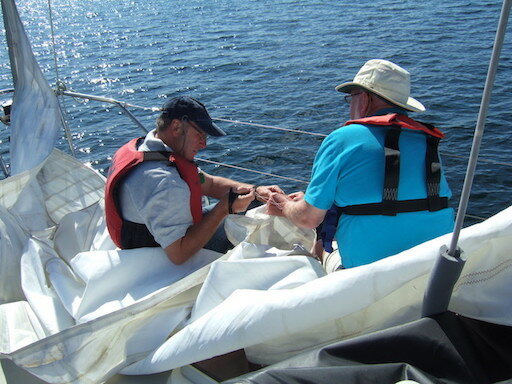 A VHF radio is vital for safety and you need to know how to use it. Navigation: you need to know how to identify your position and how to plot a safe course. Rules of the road: you need to be familiar with buoyage and the law of the sea. Emergencies: you need to know how to deal with emergencies at sea. So, before you skipper your own boat it makes sense to build up your knowledge and skills by gaining experience from seasoned sailors! 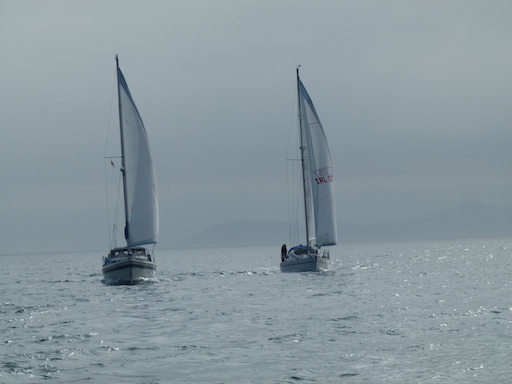 Involvement in racing is a wonderful way to build up experience in sail and boat handling. These links are offered in good faith but SSC cannot accept responsiblity for the content of other sites or for decisions based on information obtained there. Every now and again we take people out for their first sail ever. Sadly these trips sometimes end with long green faces returning to land resolved never to leave its solid safety again. Here are some tips about bringing out “novices” with a view to increasing their enjoyment of the experience. Don’t go out at all in winds over force four or in swell conditions (that can often happen in flat calm). Do not take people out if they are tired, unwell or very cold. Do explain safety instructions … but not in a scary way! Do ensure that visitors are wearing appropriate buoyancy gear. 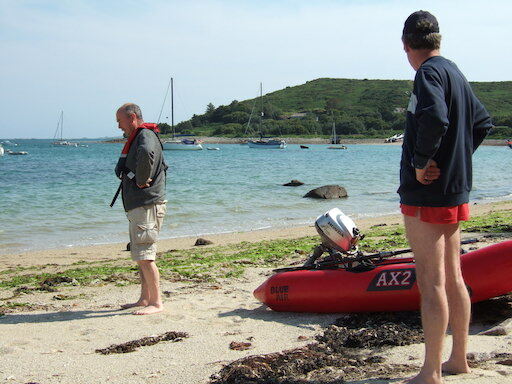 Make sure that all your visitors are kitted out for the colder conditions off-shore. 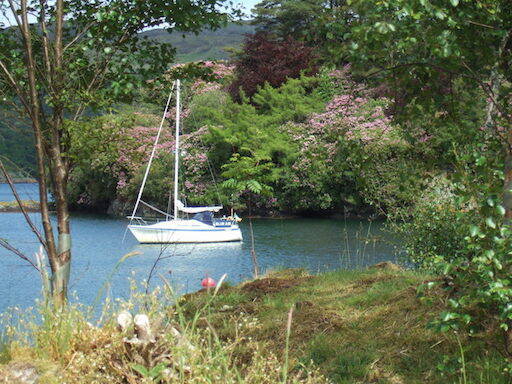 If your boat is on a rocky mooring bring it to stiller waters for their first minutes aboard. Keep visitors above deck at first, seat them down and have a light-hearted chat. This gives them time to get their first sea-legs. Do not indulge in alcoholic drinks before or during the trip. Avoid anything on board that has a strong smell (some sun blocks for example). After a minimum of 15 minutes ask if they are keen to go out. As you leave the more sheltered area keep a lively chat going. Give the visitors a chance to helm very early on but in short stints. Watch for people getting quiet, looking cold or yawning (signs of queasiness). Pass the helm to them. 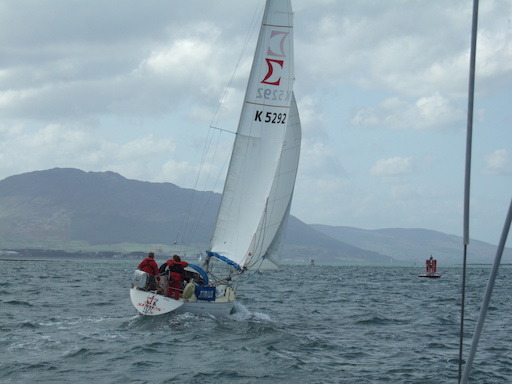 Avoid sailing on a run as it tends to be more queasy. Do not go off-shore at all; keep within 20-30 minutes of land. Limit a first sail to about one hour. If someone does begin to get sick bring them back to land straight away. If you offer a snack make sure it is plain food, no strong flavours or smells. 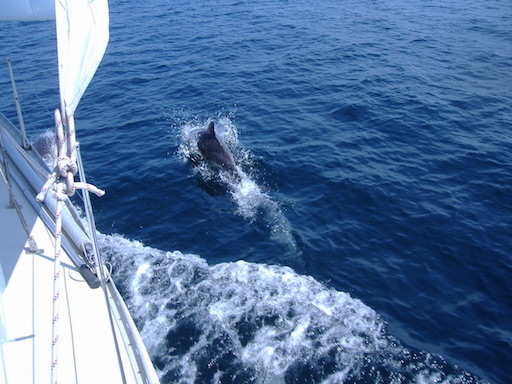 Avoid talking about sea-sickness at sea; if necessary mention it briefly before leaving land. Don’t try to talk people into liking sailing; everybody’s different. Only allow people to go below if you see they are getting enthusiastic; even then watch that they take it well. Back on your sheltered mooring spend a little social time maybe with a cuppa. If you follow these simple tips your visitors are more likely to have a good experience and at least some of them may be keen to come out with you again. You know you have done well if some of them start looking at adverts for boats … or try to buy yours! 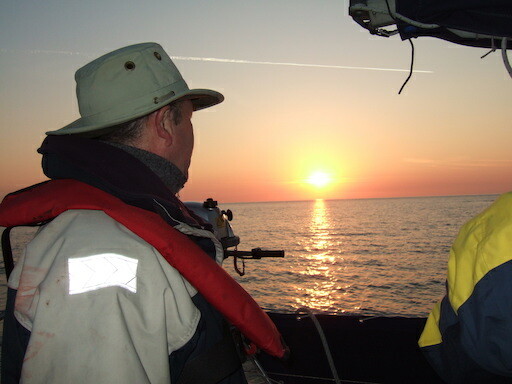 Explore a local port: Balbriggan, Drogheda, Clogher Head, Loughshinny, Rush, Rogerstown Estuary, Malahide, Howth. Try out local anchorages: Lambay (including Saltpan Bay, Talbot’s Bay), Ireland’s Eye (Carrigeen Bay), Howth (Balscadden Bay). Have a theme: photography, wild-life spotting, fishing, practise man-overboard, practise anchoring, explore tidal currents, practise DSC radio, local historical sites on the coast. 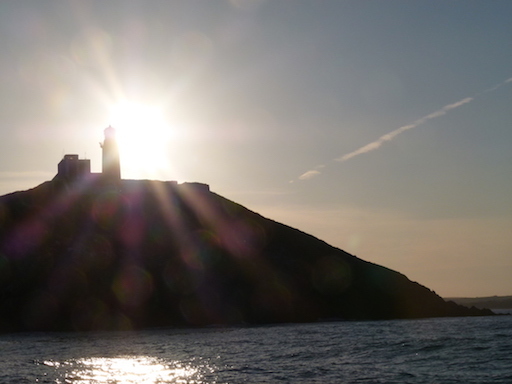 Explore an island: we have lots within a short distance – Colt, Shenick, Church Island, Ireland’s Eye, Dalkey Island. Have a picnic or BBQ … or just a swim. Food at sea: raft up at anchorage with one or more cruisers for a nosh-up, even a BBQ! Crew-swop: exchange crews for different legs of a short cruise. 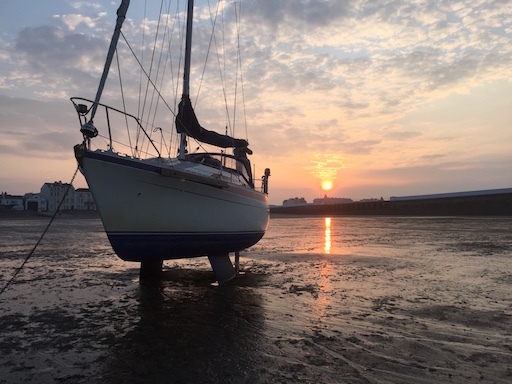 Dry out on a Beach: (for bilge keelers) With careful planning this can give about four hours ashore. Cruising doesn’t have to be a marathon to the Artic Circle and back. In the Skerries area we have lots of possibilities for fascinating short trips.